I love the mandarin collar on the dress and the vintage patterns usually speak to me most. I don’t go into vintage shops much, but the shape of dresses in past years are more suited to women with a curvy figure. If you recall from my previous sewing posts, I have broad shoulders and wider hips with a slimmer torso, so a lot of modern patterns either suit athletic or model figures. What I like most about this pattern is also the possibility of making a floor length gown or knee-length dress. 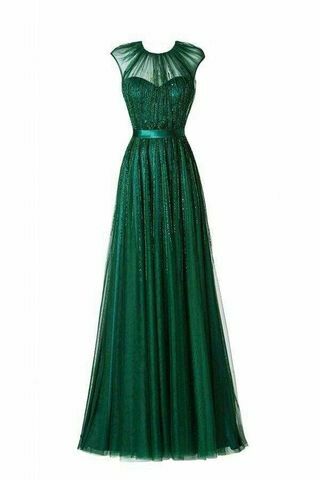 It’s formal dresses that I love seeing photos of or ones that have been made by hand. 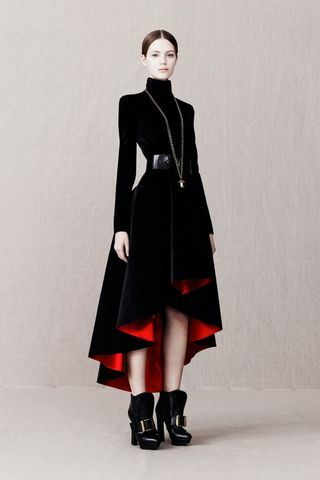 A lot of dresses and garments can include a lot of small details that make it unique, but it’s how an elegant formal wear garment is made, and the attention to detail to it, without the need for materials or adornments that come from animals and can still be seen as luxurious and elegant that appeals to me. The shape of a fit and flare dress is very flattering for those with a triangular or pear body shape. 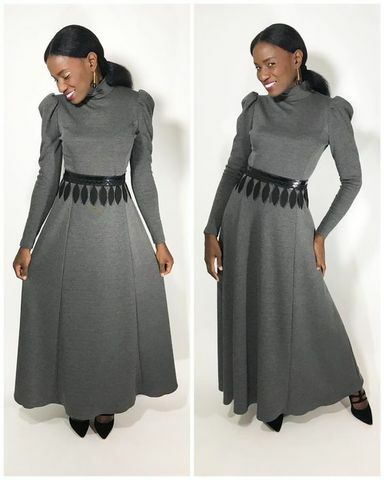 It enhances the smaller torso/bodice area and slim waist while providing a flared skirt. 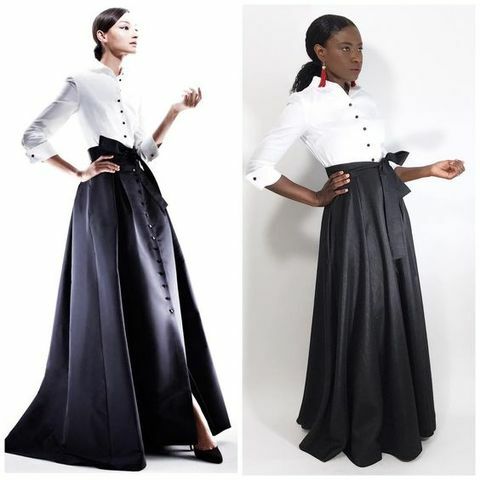 Although the Vogue pattern doesn’t create a full skirt, it’s got enough of a flare to be flattering to women with curves by giving the illusion of a slim-cut design, but with a slight flare to the skirt. Below are some fashion inspirations that got me excited about creating my own version and adding my own touches to this Vogue dress pattern. 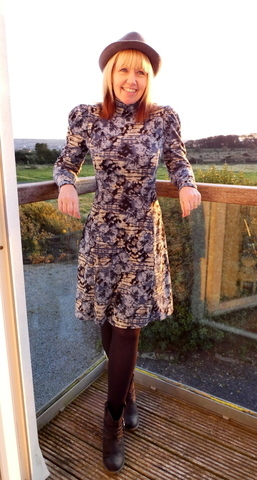 Here are some of the dresses other dressmakers have made using the Vogue pattern. It’s always exciting to see what others make using the same pattern, you really do see a difference in how each person likes to express their own style using the same tools! When I visited Chiang Mai at the end of September 2016 with my mum and sister, we stopped by a fabric shop and I couldn’t help but get their beautiful lace fabric and matching backing satin fabric. For the price they were charging, it was still a bargain although I wasn’t expecting to be shopping for fabric when I was on holiday! The lace was too pretty to pass up though and while I would usually go for the silver grey fabric, the turquoise was too beautiful a shade and in the end I got both. I haven’t yet decided whether to make a statement turquoise dress with the Vogue pattern or to go with something I would wear. My intention is to make it a floor length gown with the mandarin collar and long sleeves, but I’ll make a bustier shape with the satin fabric so more of details on the lace can be seen without the backing fabric taking over. 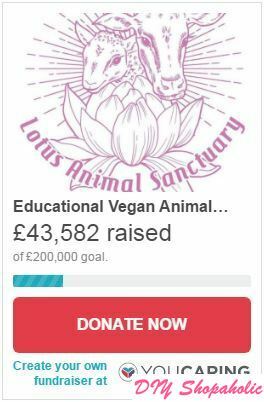 Now this is the time I would really appreciate your opinion! 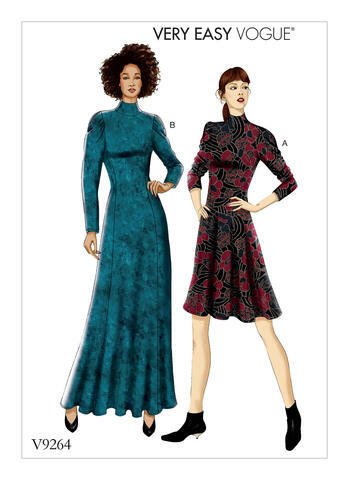 Do you think I should go with the silver grey or turquoise lace and satin fabric for the Vogue 9264 pattern?